1. 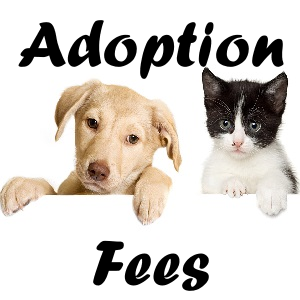 Have a general understanding of what to expect when you are adopting a pet from a shelter. Click here to read how The Humane Society of the Unites States suggests you prepare for a pet adoption. Pet Welfare follows the recommendations of The Humane Society, ASPCA, and local animal shelters when deciding on placing our pets with their forever family. 2. Make sure that you have thought it over carefully and have decided this is the right time to adopt a pet. Make sure that you are emotionally ready and financially able to provide a safe, healthy, and loving home to your new family member for the rest of their life. 3. Visit the shelter to meet the adoptable cats and/or dogs. 4. Fill out an adoption application form and turn it in as soon as you decide on which pet you'd like to take home. 5. Meet with a pet adopter for an "Adoption Interview." For dog adoptions, we require the entire family, including pets, be present so the adopter can determine the suitability of the animal for the entire family. For cat adoptions, only the adopter needs to be present. 6. Once approved for the adoption, sign the adoption contract, pay the current adoption fee, and take your new family member(s) home with you. You will typically have 7-10 days to insure the pet(s) and family are compatible with each other. The volunteers at Pet Welfare love all the animals in our care and we work extremely hard to provide the very best environment possible for all our animals. Our goal is to find each pet a loving, caring forever home of their own. Please work with us before, during, and after the adoption interview to make our goal a reality. NOTE: Pet Welfare reserves the right to deny any application.